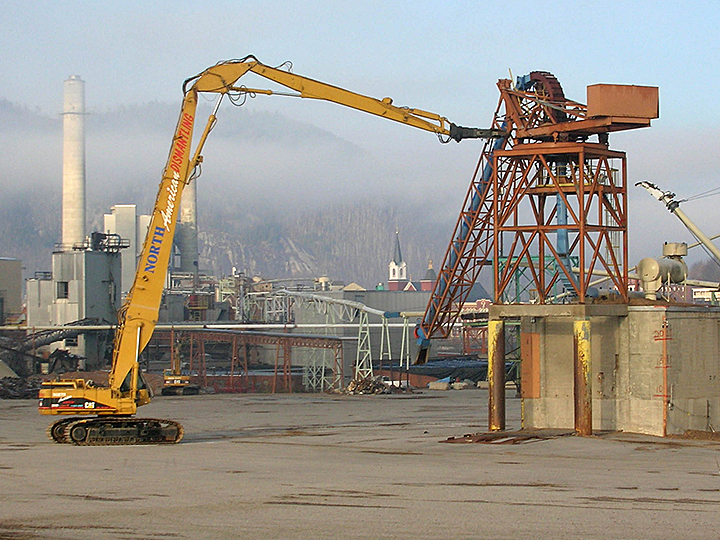 Using controlled demolition techniques, the highest degree of calculated precision is required to bring down structures without risk to personnel or damage to the surrounding structures or properties. NADC has the ability to use explosive or non-explosive techniques when controlling a fall of a certain structure. When conditions are present for a particular controlled demolition project, NADC has the capability to bring down a structure within a controlled perimeter. 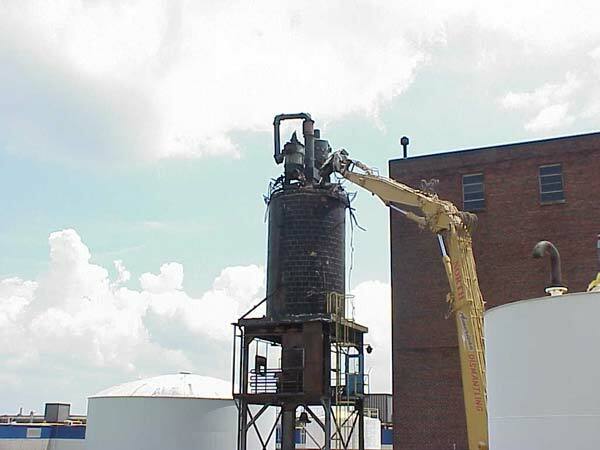 Controlled demolition can be accomplished using implosion on a multi-story building or through tight spot tipping on silos, smoke stacks, large antenna's and water towers. At 8:30 a.m. Sunday, the 340,000 square-foot North Park Plaza building in Southfield stood ready for demolition by implosion. As hundreds watched, 376 sticks of detonated dynamite took down the 42-year-old, 17-story building on Nine Mile near Southfield Road. Following a series of loud blasts, 10 seconds later the building was a mass of rubble within a cloud of dust. on your controlled demolition project.